THE SIKH NUGGET: Lahore: The Maharaja and the Fakir. Lahore: The Maharaja and the Fakir. When you enter Bhati Gate and walk up Bazaar Hakeeman, just after the first mound dips and the second starts, to the right is a beautiful old ‘haveli’. This is the famous Fakirkhana, the house of the famous Fakir family, for in the reign of Maharajah Ranjit Singh three brothers, all powerful ministers, lived here. The role of the Fakir family in the politics of Punjab before the British conquered it is an outstanding example of competence and honesty at its pinnacle. It can be said with considerable surety that since then no family of Punjab has excelled the Fakir family in service to their land. But there is much more to the legend of the three brothers. The three famous Fakir brothers were Fakir Azizuddin, the foreign minister of the Lahore Darbar, Fakir Nuruddin, the home minister and Fakir Imamuddin, the minister in-charge of the arsenals of the Khalsa Army. Our interest in this piece centres on Fakir Azizuddin, the foreign minister. Fakir Azizuddin was a physician and an outstanding diplomat at the court of Maharaja Ranjit Singh. He was the eldest son of Ghulam Mohyuddin, a leading physician of Lahore who lived in Bazaar Hakeeman – the streets of physicians. His two brothers, Nuruddin controlled the city of Lahore and had been Governor of Gujrat, and Imamuddin was the ‘gilahdar’ or garrison commander of the Fort of Gobindgarh. But before we proceed two small stories need to be told. When Ranjit Singh conquered Lahore and entered the Lahore Fort for the first time, he alone entered the ‘Suman Burg’ on the Shish Mahal. There he saw, so he claimed, a white bearded man in white robes who said to him: “Enter young warrior, you are destined to rule Lahore and the Punjab for 40 years, but rule you shall only if you are fair to every religion, caste or creed, and you will get the best help from the family of Ghulam Mohyuddin the fakir hakeem”. 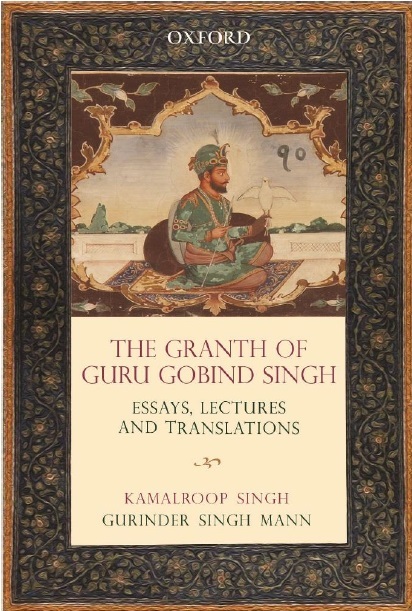 This had a profound effect on the young Sikh conqueror, and he adhered to the advice given. The second story is about the summoning of Hakeem Ghulam Mohyuddin, who sent his son Azizuddin to cure the sight of his only remaining eye. The quick recovery impressed the maharajah and he wanted Azizuddin to always remain in his counsel. The Fakir family claim to be Ansari Arab immigrants from Bukhara, in Central Asia, who settled in Lahore as hakims. The prefix ‘hakeem’ was never used by the family, and it was only in British intelligence correspondence after 1826 that the word ‘fakeer’ was used. The Persian for a mendicant or ‘dervish’ was thereafter used by Azizuddin as a mark of humility. Ironically, in the court of the maharajah, he was referred to, as also in court documents, as Fakir Raza Hakeem. In 1799 when Ranjit Singh was treated by Azizuddin, he so impressed by his intelligence and skill, that he was appointed personal physician to the maharajah and assigned a jagir. Once the Sikh ruler got to see State papers, which were all in Persian, he sought the assistance of Azizuddin. Soon he was also entrusted with drafting official State papers in the Persian language. This brought him still closer to the Maharaja who developed great confidence in him for his ability to correctly interpret his policy. Fakir Azizuddin's first major diplomatic assignment was to look after Charles Metcalfe, the British representative, and to assist in the Maharajah's negotiations with him which culminated in the Treaty of Amritsar (1809). He held negotiations on behalf of the Sikh ruler with David Ochterlony in 1810. Soon the British realised that they were facing a man who could fluently speak seven languages, including English and French. In 1813, he was deputed to settle the dependencies of ‘the country of Attock’. With immense skill he negotiated the transfer to the Sikhs of Attock Fort, and in return the Afghan governor Jahan Dad Khan accepted a ‘jagir’. Throughout Maharajah Ranjit Singh's reign, Faqir Azizuddin remained almost solely responsible for the foreign relations of the Sikh kingdom. In 1815, he held tricky negotiations with the rulers of Mandi and Rajauri, and later on with the Nawab of Bahawalpur. In 1823, he was sent to Peshawar to realise tribute from Yar Muhammad Khan Barakzai. After the death of Raja Sansar Chand of Kangra in 1824, his son, Anirodh Chand, defaulted on payment of ‘nazrana’ to the maharajah. It was Azizuddin who went to Nadaun and got him to pay homage to the Maharajah and got his succession recognised. In 1827, he travelled to Simla with a goodwill mission to call on Lord Amherst, the British governor-general. Again in April 1831, another delegation from the powerful Lahore Darbar met Lord William Bentinck. The team was led by the powerful Sikh general Sardar Hari Singh Nalva, who had royal instruction to rely on the advice of Diwan Moti Ram and Azizuddin “the Fakir”. 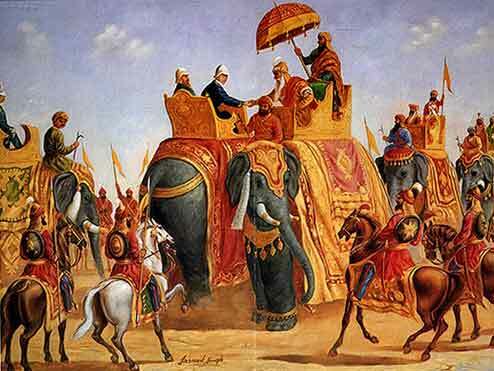 This meeting led to a meeting between Maharajah Ranjit Singh and Lord William Bentinck in October 1831. Fakir Azizuddin, through Captain Wade, acted as interpreter between the two chiefs. He conducted negotiations that led to the signing of the Tripartite Treaty of 1838 aimed at installing Shah Shuja on the throne of Kabul. Seven years later he again acted as interpreter when the Maharajah met Lord Auckland. Many experts feel that this move by Azizuddin prolonged the life of the Khalsa State. Faqir Azizuddin has been described in British intelligence reports as "the oracle of the Maharajah", and at one place is even termed as "his master's mouthpiece". The British always met their match when it came to penning legal documents of State. His grasp of Arabic, Persian, English and French made him among the "the most eloquent man of his day". When Maharajah Ranjit Singh died in 1839, the Fakir family withdrew from the frontline of court affairs. However, he continued in the service of the Sikh State. He represented Maharajah Kharrak Singh on a complimentary mission to Lord Auckland at Simla in December 1839, and met Lord Ellenborough at Ferozepur in December 1842, under Maharajah Sher Singh's instruction. But by then the affairs of the Sikh State had become very complex and he remained scrupulously aloof from factional intrigues. The turn of events and the death of two of his sons had a dramatic effect on Fakir Azizuddin, who died in Lahore on Dec 3, 1845 at the age of 65. Today the Fakir family no longer lives in their ancestral house inside Bhati gate. The family has grown in size and spread out. However, their house is now a museum, one every person interested in Lahore should visit. Its exhibits are among the very finest in Lahore and they can be reached through an internet website one member of the family has created. They remain, undoubtedly, among the finest old family of Lahore.